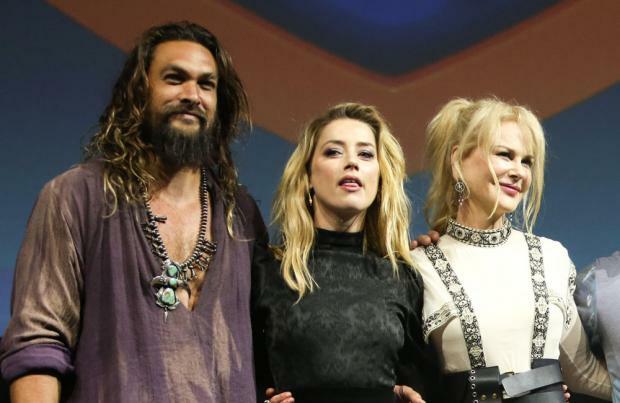 Jason Momoa was "extremely scared" about meeting Nicole Kidman. The 39-year-old actor had "one of the greatest acting experiences" he's ever had shooting 'Aquaman' alongside the 'Big Little Lies' star and admitted he was in awe of the Australian actress because she's been so successful. "I've never worked with anyone that came close to an Academy Award. She was just this amazing woman and one of the greatest acting experiences I've ever had. "Just to see someone that could change it after doing something over 40 times and constantly reinventing and just having fun with it and just seeing how she handled James [Wan, director], it was just beautiful. "She was so intelligent with her choices and it was cool." Nicole plays Queen Atlanna of Atlantic, the father of Jason's character Arthur Curry/ Aquaman, and he was a lot less restrained when he met Temuera Morrison, who plays his father, for the first time. Jason recalled to SciFiNow magazine: "I really looked up to him and I wanted him as my father. So that was one of my big requests, I wanted him to play my father. "When I met him, I tackled him, he was kind of freaked out. "I'm like a big dog that is like – I'm very happy, I'm easily excited. So I grabbed him and gave him lots of kisses." Jason shares a lot of scenes with Amber Heard, who plays Mera, and they had a great time working together. He said: The film's fun and you laugh and there's unbelievable action. It's the hardest thing I've ever done physically. "We had a great time together. I'm f***ing hilarious, Amber's f***ing hilarious and we just had a great time."